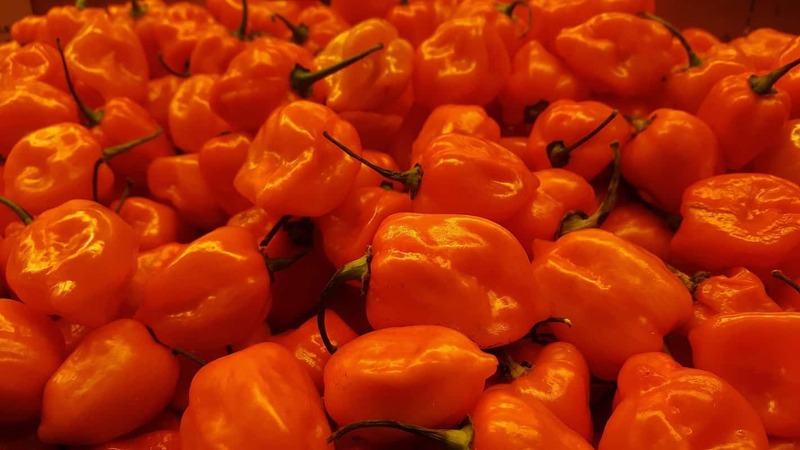 At one point, the habanero held the crown as the hottest hot pepper in the world, but don’t let the fact that certain peppers have passed it by fool you into underestimating it. This is a seriously hot pepper. And unlike many of the hotter peppers, it has a unique, citrus-like taste that makes it very popular in hot sauces, powders, and rubs, lending itself to all sorts of culinary adventures. How hot is the habanero? 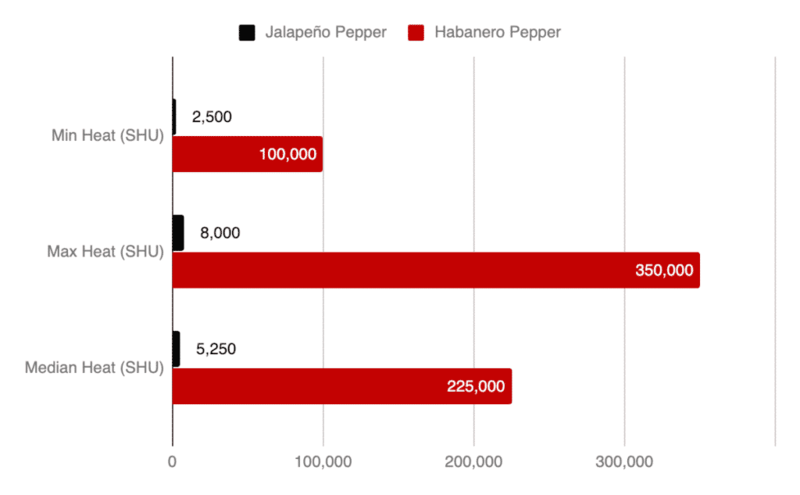 Let’s go back to our Scoville scale reference point, the jalapeño, and compare. The habanero weighs in at 100,000 to 350,000 Scoville heat units (SHU), pairing it with its very close relative, the scotch bonnet pepper. In terms of eating heat, that’s around 76 times hotter than an average jalapeño, with the potential for some crazy heat difference of nearly 140 times hotter when you compare the mildest jalapeño to the hottest possible habanero. That’s a pepper with some extreme heat, but as chilies tend to run the gamut in heat even when they come from the same plant, there’s always a chance that you could get a super hot one. It’s related to the Scotch bonnet pepper? It sure is! They are variants of the same species of hot pepper. The habanero is similar to the Scotch bonnet in size at 1 to 3 inches, but its shape is more pod-like. It’s not as squat as the Scotch bonnet. And in terms of heat, they are nearly identical, with some people saying the scotch bonnet actually beats out the habanero in terms of average heat. They also both have a fruity flavor that makes these peppers very popular among chefs, both amateur and professional. The Scotch bonnet tends to be a little sweeter than the habanero, but really they are very close. Their differences may come from the regions in which they are grown. Habaneros are a South American pepper, unlike the Scotch bonnet which originates in the Caribbean. It hails from the Amazonas region of Peru, but it’s really thought of as a Mexican pepper. 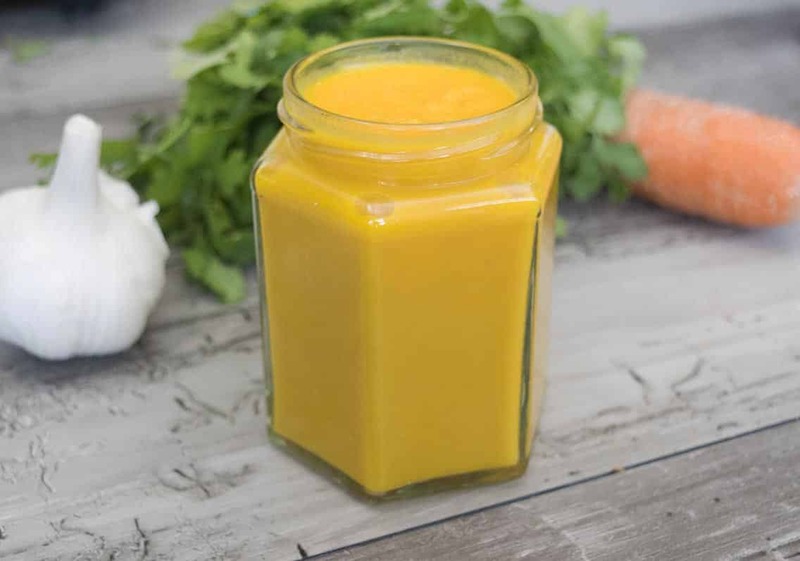 The Yucatán Peninsula is the biggest producer of habaneros these days, but it’s grown in many South American and Central American countries, as well as the southwestern United States. This is a chili that’s been around for a while. In fact, a Mexican archeological dig discovered a domesticated habanero that’s over 8,500 years old. And like Scotch bonnets, you’ll find it in many different varieties and colors, from red and orange to dark brown and nearly black. Some of those red (the Red Savina habanero) and black habaneros (the chocolate habanero) actually are much hotter than the normal varieties, tipping the Scoville scale above 400,000 SHU! Where can you buy habanero peppers? What meals use them as spices? These are popular peppers − perhaps the hottest of the peppers that you’re likely to ever find in a general supermarket. 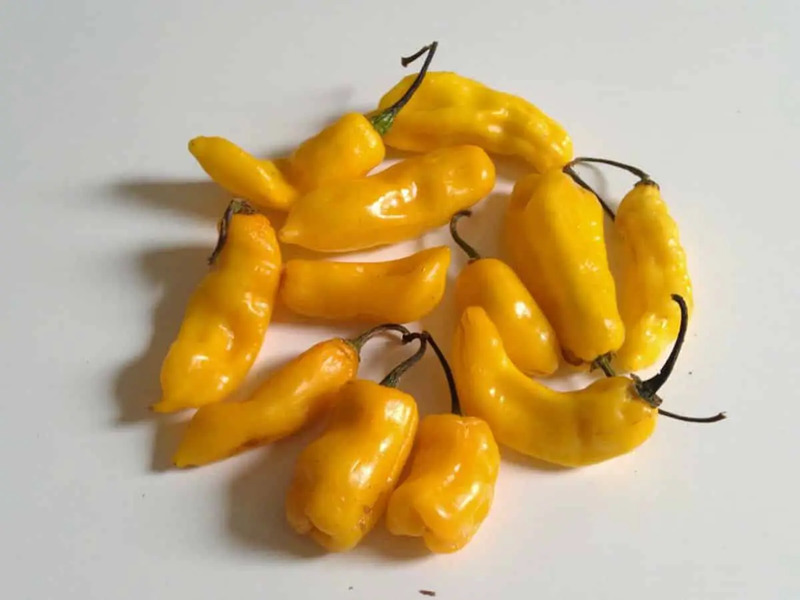 In fact, they are more popular in the United States than the Scotch bonnet, at least in terms of buying them raw for cooking. You’re still more likely to find the jalapeño at your local store, but habaneros are becoming more and more mainstream. It all has to do with that fruity flavor that makes this pepper a lot of fun in the kitchen. Lots of products feature habaneros, from insane hot sauces to potato chips. You can even find them in bottles of tequila to add a little zip to the flavor. 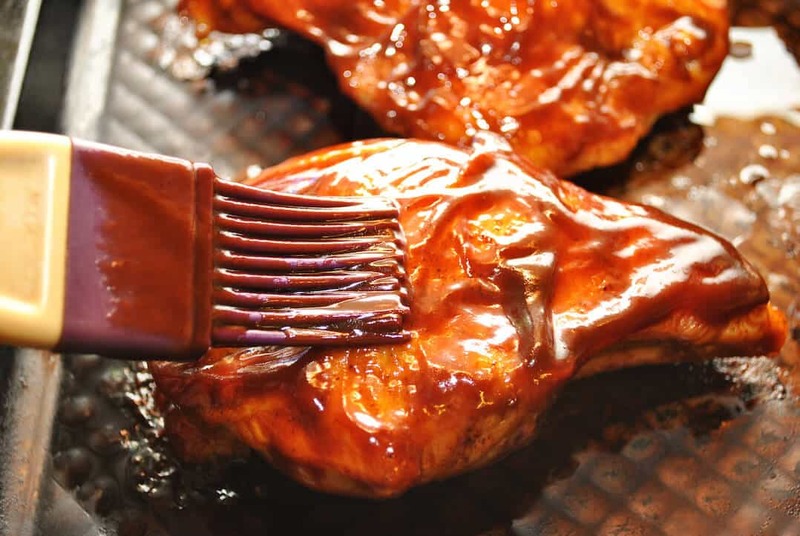 Some of these products have hit store shelves, but many are specialty products that you’re going to have to purchase online in order to be able to enjoy. No matter what, the habanero pepper is a must-stop on the pepper scale. Master this one before jumping up into the super-hot category that makes up the tail-end of the Scoville scale.